One of the simplest pieces of nutrition advice is to eat more vegetables. Vegetables offer the nutrients necessary for both overall health and for running – and yet so many of us avoid eating vegetables or don’t eat as many vegetables as we should be. You should be eating 6-9 servings of vegetables and fruit a day, with more of those servings coming from vegetables rather than fruit. I can go through the basic, cliched tips on how to eat more vegetables – eat a salad each day, snack on carrot stick, make a smoothie. – but we have all heard those so many times. I don’t know about you, but a salad of romaine, tomatoes, cucumber, and a sad sprinkle of cheese has me reaching for a burger and fries faster than Usain Bolt can run a 100m sprint. I’m also not about to tell you to adopt a Paleo diet and rely solely on vegetables for carbs – because our bodies need more carbohydrates than vegetables alone can offer. 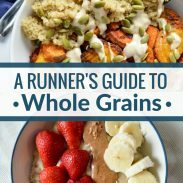 Today I want to offer you creative and realistic tips on how to eat more vegetables while also satisfying a runner’s appetite. Spinach causes kidney stones, nightshades like eggplant lead to inflammation, and potatoes are bad for you – that’s just a whole lot of nonsense (unless you are eating several pounds of spinach or only eating your potatoes fried with a side of gravy). If you like spinach, eat spinach, if you like kale, eat kale. Nutritional variety is important, but you can still get that variety from eating the 4-6 vegetables you really like. The same with preparation. You read how cooking broccoli depletes most of the nutrients. I am not a registered dietician, so I cannot tell you if this is true. However, if roasting broccoli is what gets you to eat broccoli (especially since roasting it makes it easier to digest), then roast your broccoli and enjoy it. The vegetables you do eat are always more nutritious than the vegetables you don’t eat. Confession: I prefer russet and red potatoes to sweet potatoes, so that’s what I eat instead unless I am craving a sweet potato. 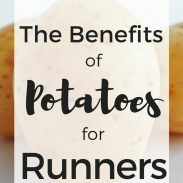 Despite their bad reputation, a medium russet potato provides 38 grams of carbohydrate, 3 grams of fiber, 10% of daily iron, 12% of daily magnesium, 25% of daily potassium, 37% of daily vitamin B6, and 20% of daily vitamin C. That’s not to mention that they are easy to digest – great for the night before a long run! Eating vegetables at breakfast jumpstarts your day with nutrients – and means one less serving of veggies that you have to squeeze into lunch and dinner. If you eat eggs at breakfast, it’s easy to incorporate vegetables: scramble greens in with your eggs, make a hash, or put zucchini in your omelet. If you prefer a sweeter breakfast, you can still add vegetables by being creative. 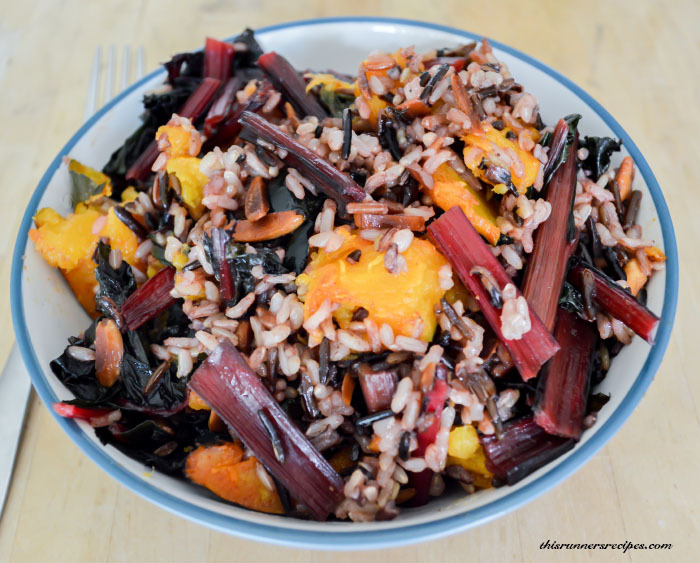 You can stir in pumpkin or squash puree or added shredded vegetables. 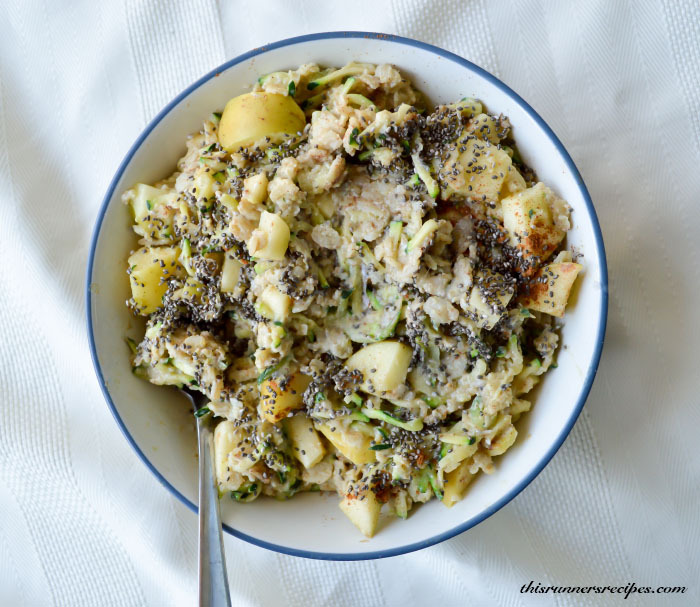 I personally enjoy shredded carrots or shredded zucchini in my oatmeal. I cook the vegetables separately in the microwave or in the pot with my oatmeal. 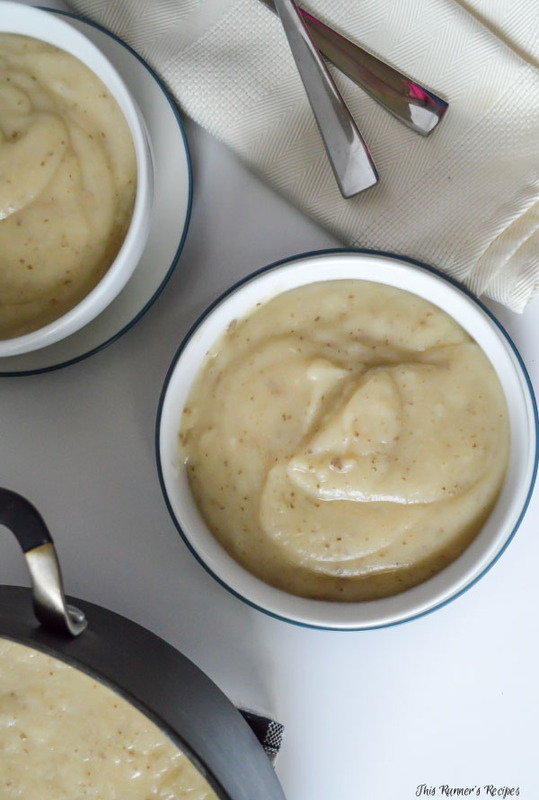 With a pinch of salt and a sprinkle of cinnamon, these sweeter vegetables blend in well with the overall flavor of my beloved bowl of oatmeal. 3. When in doubt, roast them up. If your stomach is sensitive to high amounts of fiber, roasting also makes vegetables easier to digest. This is especially true for fibrous vegetables like cauliflower, broccoli, Brussel sprouts, and eggplant. Other vegetables, such as potatoes, beets, and squash, need to be cooked in order to be edible. The only vegetables you can’t roast are most greens. 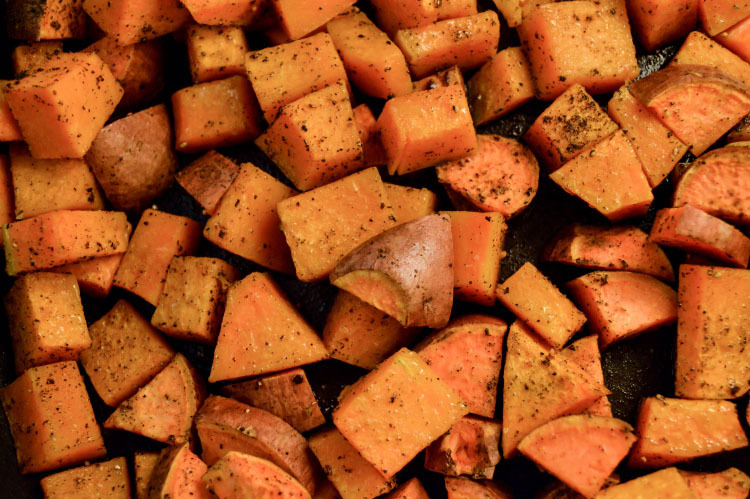 Most importantly, roasting is an easy and time-saving method for preparing vegetables. You can roast up a large batch at once as part of meal preparation for the week. On a work night (or long run night when you are too tired to stand in the kitchen), you can literally pop the vegetables in the oven with your protein of choice, set a timer, and then do other things while they cook. 4. Puree them into a sauce. 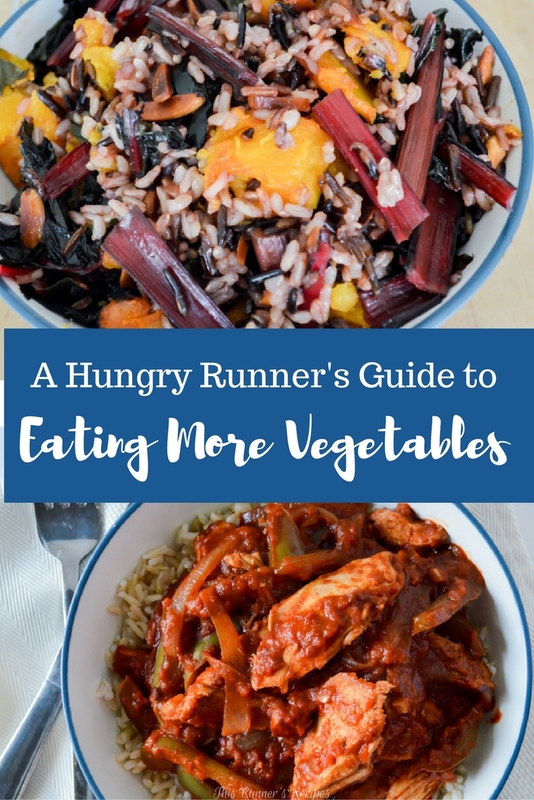 Pureeing vegetables and making them into a sauce may be more time-consuming, but this method will appease any picky eaters in your house – and trick you into eating vegetables when your appetite is all wonky after a hard training run. 5. Shop seasonally and locally. Not only is it more sustainable to purchase seasonal vegetables (rather than those shipped from abroad), but seasonal vegetables taste better since they are fresher and grow naturally that time of year. Most local produce at your grocery store or farmer’s market are seasonal, so you can support local farmers as well as enjoy fresher, delicious vegetables. Currently, the seasonal vegetables for October include butternut squash, acorn squash, beets, carrots, broccoli, cauliflower, parsnips, shallots, potatoes, and sweet potatoes. How do you eat more vegetables? Which vegetables are your favorites right now? While I do eat quite a few veggies each day, I don’t change them up as much as I should. 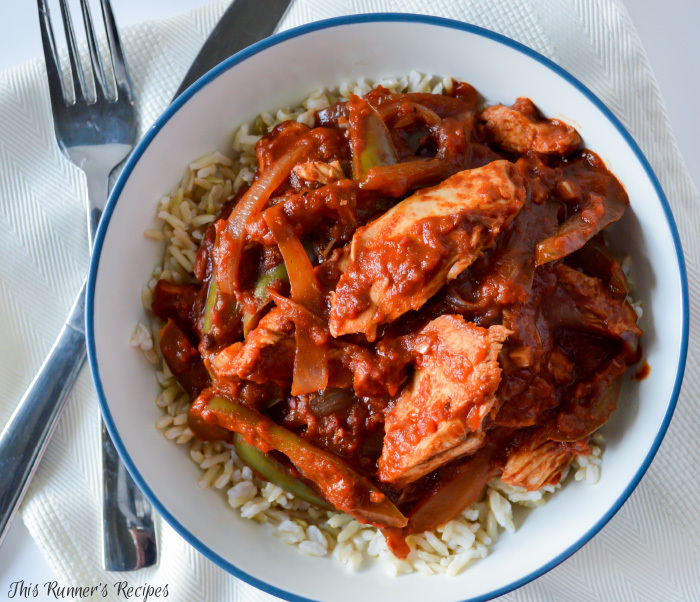 When I’m meal planning this weekend I need to try to think about including some different recipes for next week! I think Im in the mood to make something with butternut squash. Without meal planning, I would buy the same few vegetables! I try to go for what’s seasonal and local which adds variety, and lots of food blogs such as Cookie and Kate will break out seasonal vegetables with recipe ideas each month. My problem is that sometimes I eat too many veggies! Rarely do I not get enough, lol! I hate when I reach that point right before race day and I’m pulling back and don’t get to have as many as I would like.. I don’t have a problem of eating enough veggies. My husband on the other hand…I sometimes think that he tries to see how little veggies he can get in a day. Roasting veggies or being sneaky in a sauce are a great way to get in the extra servings. Especially for those who don’t really dig them. Which by the way, I really don’t understand. They taste so good!!! They do taste so good! Especially when roasted or in a really good salad. Even Charlie and Ollie like to eat their veggies! I must admit that I haven’t been eating all my servings of veggies lately! Love your tips and recipe suggestions. Great post! Thank you, Jes! It’s hard during the time of year when there aren’t as many fresh options as during summer! Yay for veggies! I am not eating any veggies today though because I’m racing tomorrow but I’ll be back to the veggies in no time. They changed my life. I’m a convert. I am so glad you are a vegetable convert! They really do make a huge difference. I love starting the day off with a big dose of veggies in an omelette – so yum! Love your suggestions and makes me want to go roast a bunch of veggies! Yum veggies and eggs are such a winning combo! Thank you, Natalie! Roasted or grilled veggies are the best – I can name several vegetables I thought I didn’t like until I tried them roasted. 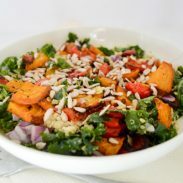 Carrots are the one exception for me – unless they’re in a soup or stir-fry I always prefer them raw. Roasting brings out the flavors so well! I used to hate beets until I roasted them.